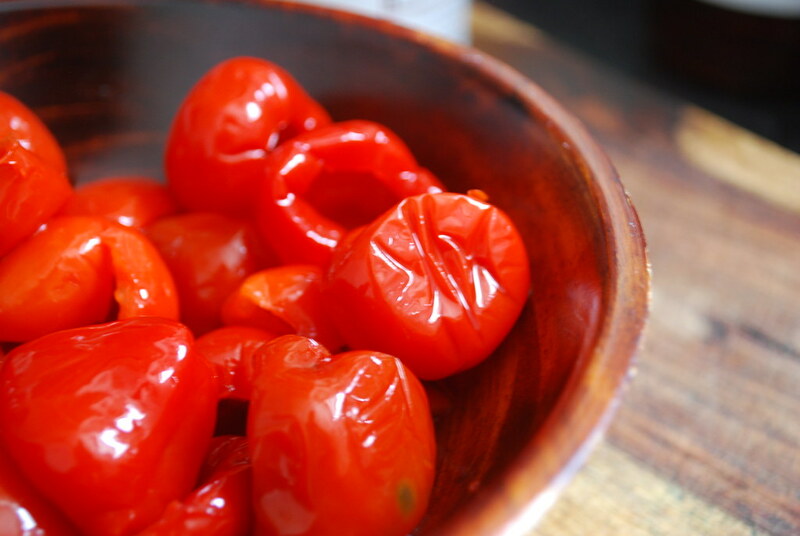 I've recently become smitten with Peppadew peppers. I had some a few days ago as part of a salad served in (of all places) my office cafeteria, and instantly fell in love. 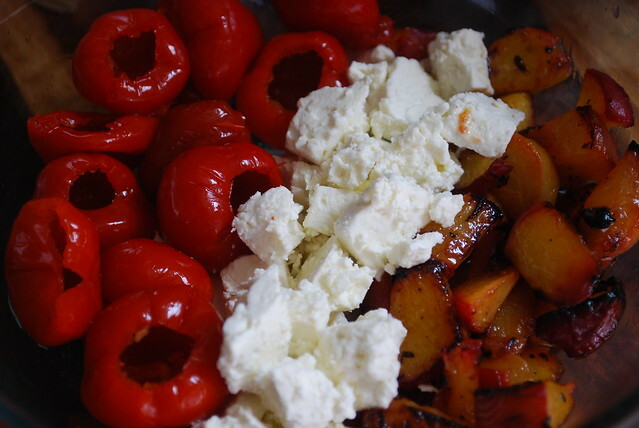 Sweet and (mildly) spicy with a perfect touch of acidity from the pickling, Peppadews are wonderful paired with cheeses like feta or goat, can be tucked into a sandwich or burger, or even used as a topping on pizza. Similar to cherry tomatoes in appearance and size (though not flavor), Peppadews is actually the trademarked name of a variety of sweet piquante pepper native to South Africa. The name is a reference to the pickled version, and are sold stemmed and seeded with a tiny open cavity just perfect for stuffing. The results were delicious--a perfect blend of sweet, spicy, salty, and sour that go fantastically well with just about any summer entree. Think juicy grilled burgers or chicken breasts, spicy grilled shrimp, savory lamb kabobs...maybe even brick oven pizza! 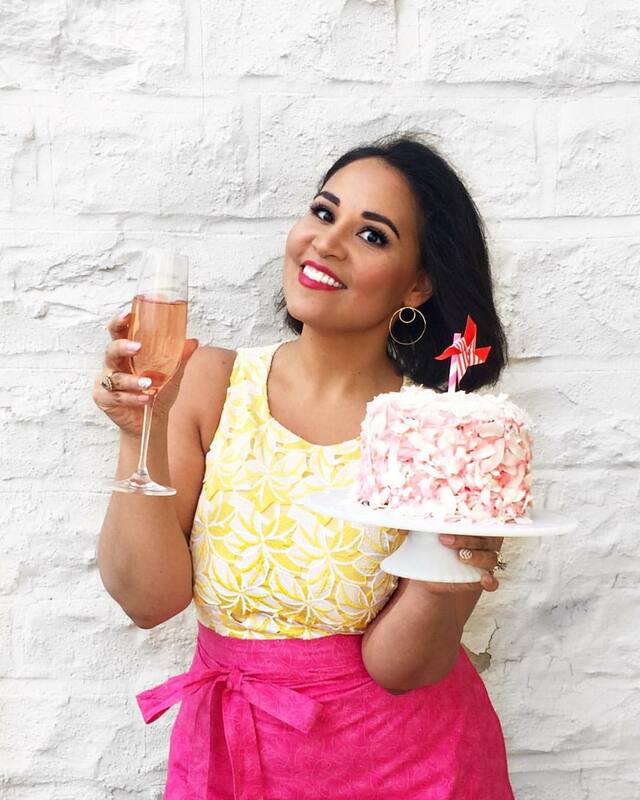 It's a great side dish for a summer barbecue, and (like all the best entertaining dishes) can be made well in advance as it's quite lovely when it's had a chance to sit and macerate in all the delicious juices. 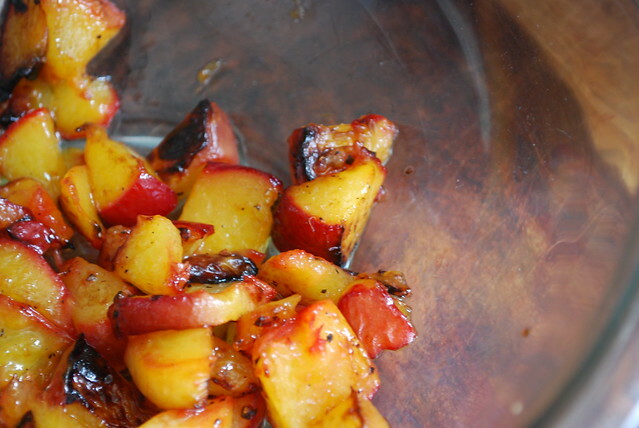 Toss the diced peaches in a medium bowl with the lemon juice, olive oil, pepper and salt until well coated. Spread out on a medium sized cookie sheet and broil for 3 minutes, stir then broil for an additional 3 minutes. Remove from the oven and let cool for 5 minutes. 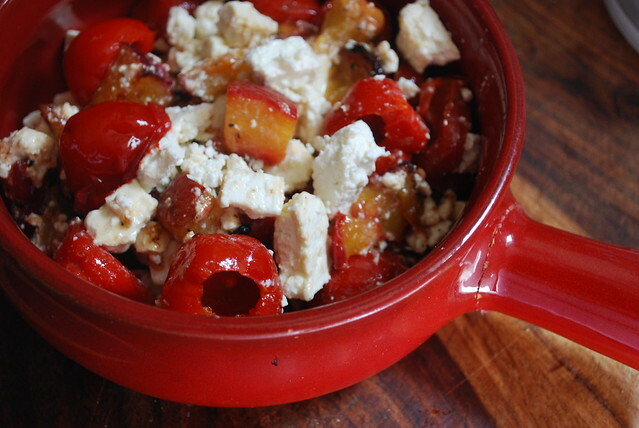 In a large bowl, combine the broiled peaches with the cubed feta and the peppers. Toss to evenly distribute and serve immediately or cover and store in refrigerator for up to 24 hours.